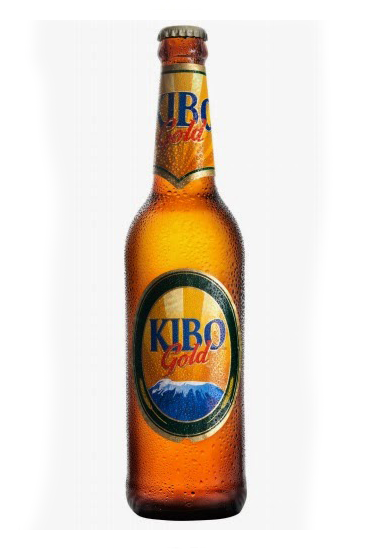 KIBO GOLD was re-introduced into Tanzania in June 2012, as a regional mainstream Lager after being away from the market for 10 years. It is produced in SBL Moshi and widely distributed throughout the Northern parts of Tanzania in key regions including Kilimanjaro, Arusha, Tanga and Manyara. In August 2013, KIBO GOLD was renovated into a premium long neck pack. Whilst retaining its unique attributes of quality, flavour and volume, Kibo Gold now comes in a new long neck bottle that is expressly driven to give the brand a visual appeal that is in line with the consumer demands and expectations as well as the desire for a new and refreshing brand experience.